This paper exemplified a novel decision tree algorithm for fault location estimation/assessment based on DCT-BDT approach for a 400 kV dual-circuit transmission line of Chhattisgarh state power transmission system. In this proposed algorithm, a well-known DCT has been used to pre-process the signals, the standard deviation value of 3-cycle data of three- phase current signals (two circuits) & voltage signals from sending end bus are used as an input to erudite the decision tree modules and the percentage of error attained in fault location assessment is within the acceptable limit. A wide-ranging simulation studies have been executed in MATLAB/Simulink software for all types of common shunt faults and the performance of DCT-BDT based fault location estimation is appraised at diverse situations of power system by changing fault type and varying different fault parameters such as fault location, fault resistance, fault inception angle with existence of mutual coupling. The simulation results confide the efficacy of proposed fault location algorithm at widespread fault scenarios. The authors acknowledge the financial support of Central Power Research Institute, Bangalore for funding the project. no. RSOP/2016/TR/1/22032016, dated: 19.07.2016. 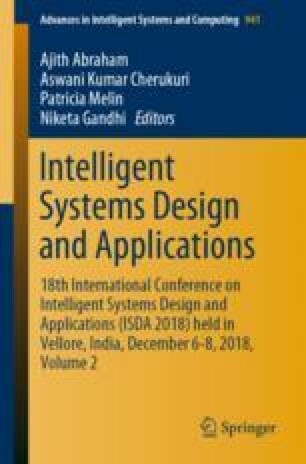 The authors are grateful to the Head of the institution as well as Head of the Department of Electrical Engineering, National Institute of Technology, Raipur, for providing the research amenities to carry this work. The authors are indebted to the local power utility (Chhattisgarh State Power Transmission Company Limited) for their assistance in data collection.